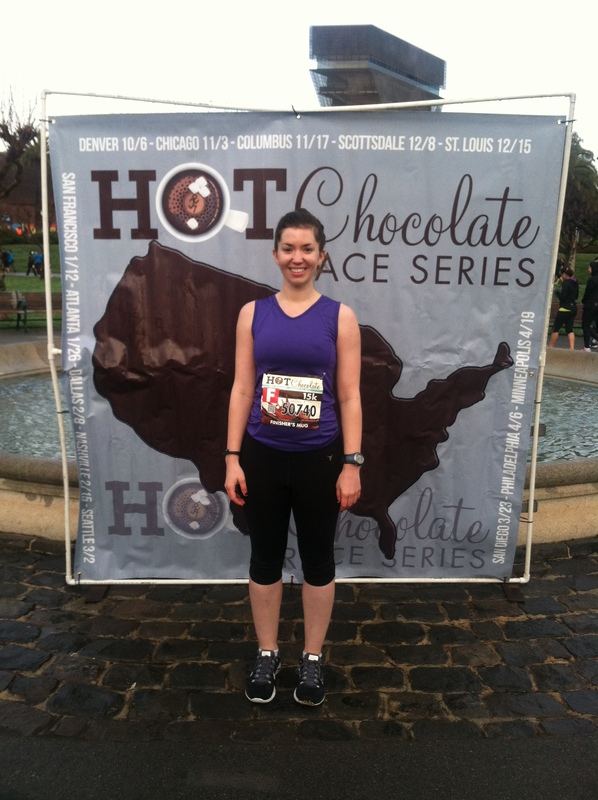 My first race of the year is complete! 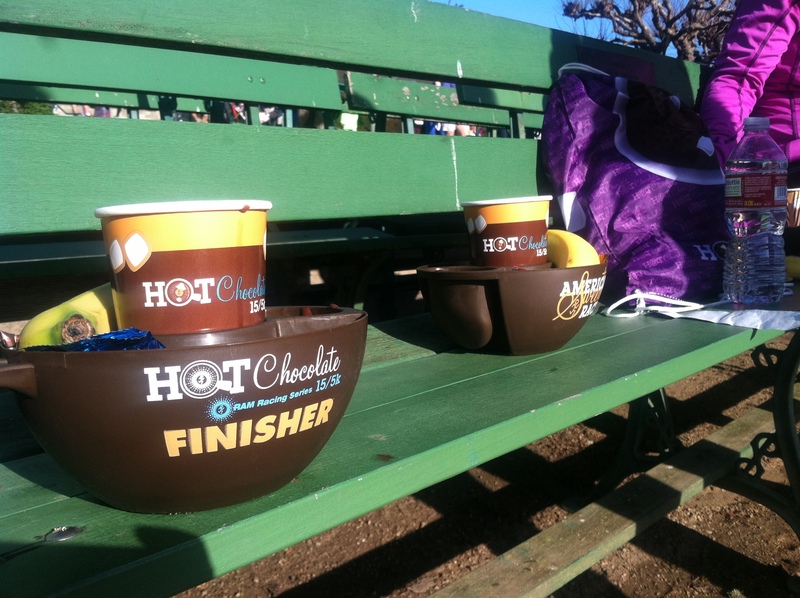 The Hot Chocolate 15K wasn’t particularly fast, but I had a great time racing with BayRunner Jamie! My attitude towards this race was extremely low key. I didn’t even properly carboload the day before – Jesse and I ate massive salads the night before the race. But I did manage to get almost seven hours of sleep before my 6am wakeup. In front of our apartment before leaving for Golden Gate Park. Jesse dropped me off at Golden Gate Park, and from there, the logistics of the race went off without a hitch. The bag drop off, race start, and porta potties were clearly visible. I packed my drop off bag with a t-shirt, sweatshirt, driver’s icense, $10 cash, credit card, and Nalgene. One aspect of the race that I especially appreciated – and don’t always see – was a table offering water pre-race. As a very thirsty person, I appreciated the opportunity to hydrate before water thrown at my face at aid stations along the course became my prime hydration source. 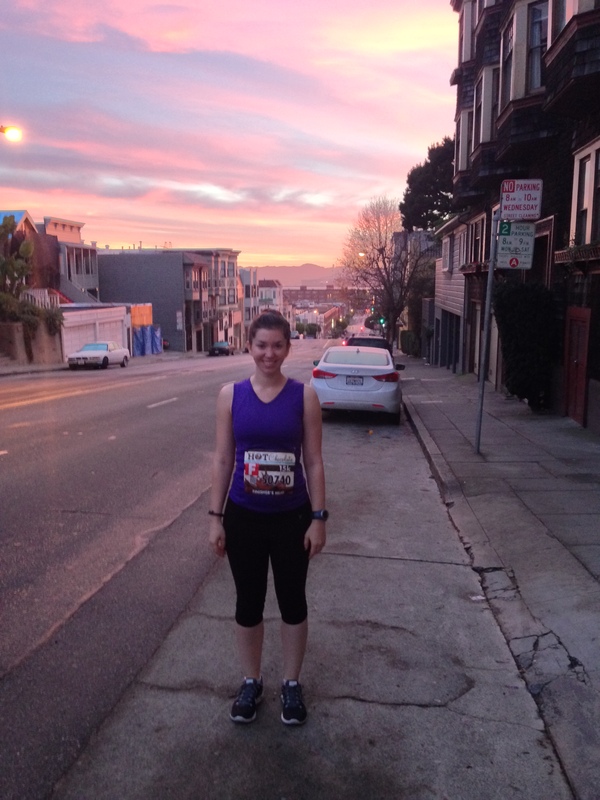 The race start was also a chilly 41 degrees; the air was much cooler than my neighborhood. While waiting for the race to begin, I noticed that I was literally the only person not wearing layers and sleeves. 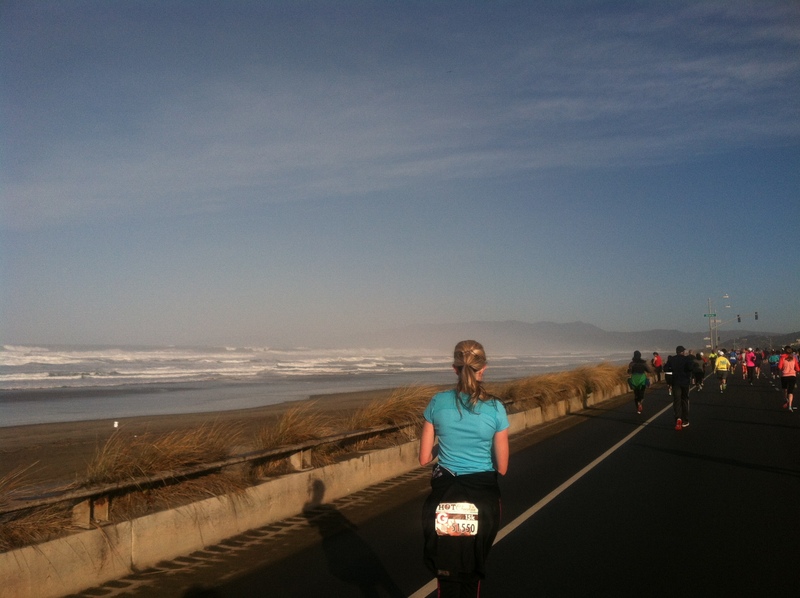 I knew that I’d heat up quickly once I started moving, and by the time we hit sunny Ocean Beach and people began shedding their layers, I was grateful I stuck with my instincts. 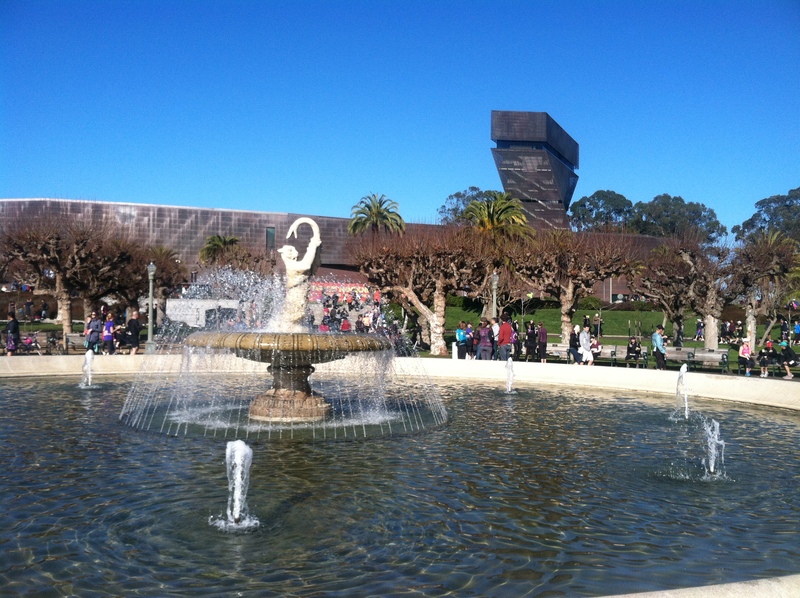 It was an absolutely beautiful sunny day in the typically foggy Golden Gate Park and Ocean Beach. The waves were particularly large and impressive – Jesse said he even noticed them during his self-imposed Double Dipsea run he enjoyed while I raced. BayRunner Jamie had been sick and sleep deprived leading up to this race, and I told her I’d stick with her. She’s running the PF Chang’s Half Marathon in Phoenix this weekend and intended for the race to be the last longer run before her A race in Arizona. She decided to take it easy, and I ran with her for the duration of the race (even when she had to tell me to slow down a little). My goal for this race was to enjoy it, and chatting and taking pictures with Jamie fell more in line with this goal than taking a chocolate-themed race very seriously. 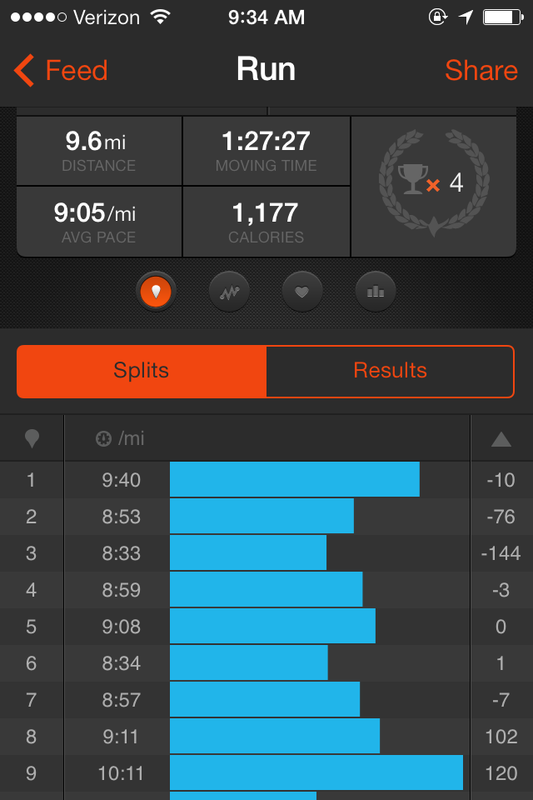 For most of our miles, we averaged around a 9 min/mile pace (My Strava says our moving time average pace was 9:05). Two bathroom breaks brought our average down, and we managed around a 10 min/mile pace overall for the first race of the year. We slogged up the deceptively hilly sections of Golden Gate Park and tried to push the pace on the downhills. My biggest complaint about this race is the post-race fuel. Junk food sounds the least appealing after running; rice krispies, marshmallows, and melted chocolate are not my post-race meal of choice. I’d much rather see chocolate milk and/or a chocolate-flavored protein bar offered during the post-race party as a way to sneak in a little protein while still remaining true to the chocolate theme. I’m not usually a big fan of gimmicks or themed races, but this race’s stellar organization, beautiful and slightly hilly course, and gorgeous post-race party location make me think I’ll fall for America’s Sweetest Race again. Thanks for running with me, Jamie! 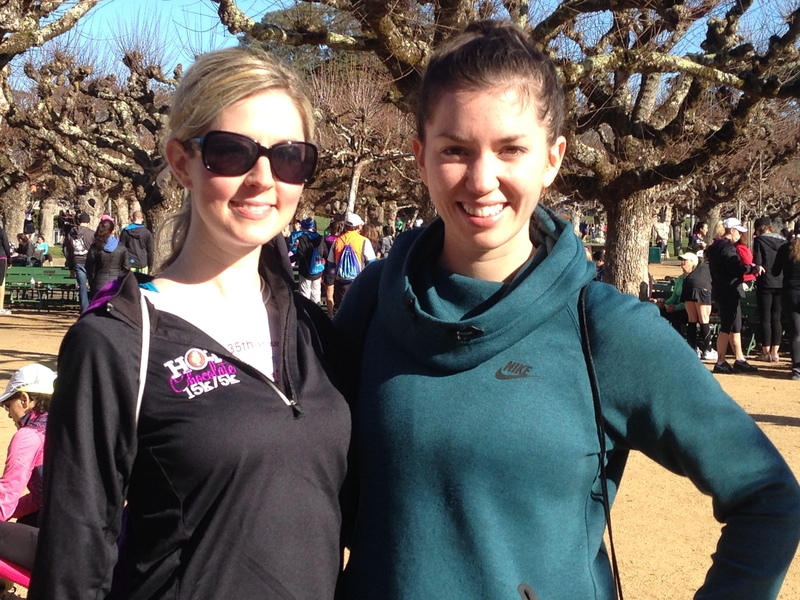 Thanks for running with me Taylor, and for sticking with me for the whole race! I had a great time running with you! Awesome, glad y’all had fun!